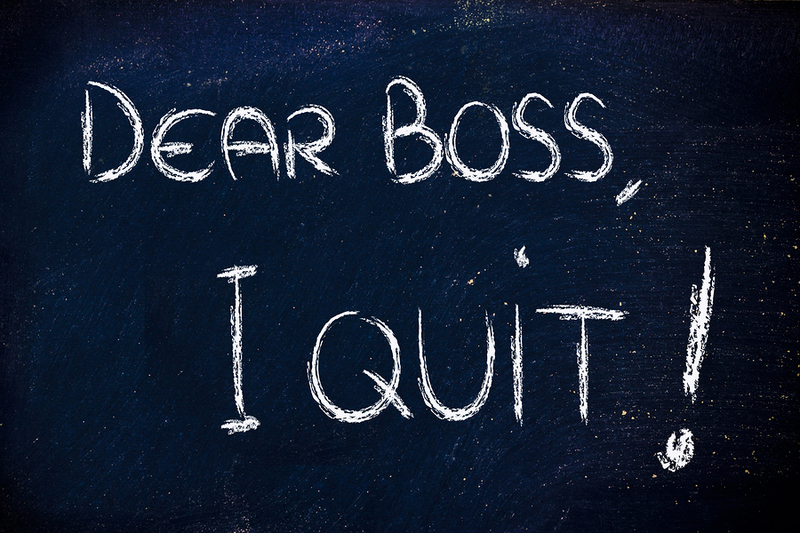 Read this article first before you dump your resignation letter onto your boss’s desk. You arrive to the office each morning wishing the day would quickly end. You hate your job and the thought of doing something impulsive, which may end up with you in prison, pops into your mind every now and then. You talk to your friends and just about everyone (from your point of view) appears to have a better job that you would gladly trade for. At this point in time, it’s fair to say that you are pretty much prepared to quit. In an article written three years ago, we wrote on five reasons when it’s okay to quit your job even before you found a new one. Suffice to say, times have since changed with the job market in Singapore becoming more challenging. With that in mind, we decided to do a simple checklist of five items to check off before you consider quitting your job without first finding a new one. # 1 Do You Have Enough Personal Savings? As a personal finance website, it only makes sense for us to start off by focusing on your financial well being. Not having a job means losing the monthly income you use to have to sustain yourself and your family each month. The money you need would have to come from somewhere. Unless you have investments that can fund your lifestyle, or rich parents who will continue taking care of you, this money is likely to come from your savings. These days, job seekers are taking more time to find new jobs. As such, we think it’s reasonable set aside at least 9 months of expense in order to tide through your unemployment period. This amount is on top of any other expenses that you may also need to cater for. Think of this as your own personal unemployment benefit. If you don’t have that amount set aside, we strongly suggests building up your savings first before you even think about quitting. The last thing you want is to leave a job you hate, only to take on another job you hate, just because you became desperate. # 2 What Are Your Career Aspirations? While we think it’s perfectly fine to not enjoy your current job and to think about leaving, we believe you owe it to yourself to at least know what it is that you prefer to do instead. It’s not enough to just say you wish you were doing something else. You must have a plan in mind to be able to achieve what it is you wish to do instead. For example, saying you hate your job as an air stewardess and prefer working in an investment bank is entirely unrealistic. Your plans have to be achievable. Career aspirations need to be based on accurate market information. Some considerations include whether the sector you are entering is already declining, or if you need to undergo further education to get the necessary qualifications required. You may also wish to temper your salary expectations since it’s unlikely that you would receive as much as you once did if you are joining a new industry. Unless you want to leave a difficult-to-explain gap in your CV for your future employer, it would be best to ensure that you have some immediate plans upon resignation that you can pursue even as you search concurrently for potential job offers. These could include starting your own business or doing some freelance work. You can also help out a friend in a business that he or she is running. At the same time, consider picking up some courses to upgrade yourself. The general idea here is to keep yourself busy in a meaningful way. The last thing you want is for your next interviewer to figure out that you have been unsuccessful over the past nine months searching for a job. Being jobless for a long time will create doubts in your employer’s mind over your capability, something that would be best avoided. It’s one thing to be the victim of an unfortunate retrenchment. It’s whole different thing when you voluntarily quit without having secure another job. The former would elicit some form of sympathy from your family; the latter would increase the pressure for you to get a better paying job soon. We are not saying you can’t quit. You are certainly entitled to do so. However, we suggest you talk to your spouse and other family members first before you rush into the decision. If they are supportive, go ahead. If they are not, consider their opinion seriously. Even great plans fail sometimes. While you may have all the above considerations well mapped out, it isn’t far-fetched to suggest that your plans may not work out. For example, the economy may suddenly take a turn for the worse just as you are about to start searching for a job. Like it or not, you need a Plan B. Plan B comes into play after you have given yourself enough time to finally recognise that your original plan simply isn’t going to work out. Under such circumstances, you need to be prepared to take on an alternative plan. These could include taking on part-time work, or re-joining a previous employer who still wants to hire you. We don’t believe you should quit your job when you expect that you will fail in your efforts to get something better. In our opinion, it’s important for people to be confident of their ability to secure for themselves a brighter future. At the same time however, it’s reasonable to consider the question of “what’s the worst that can happen if things don’t work out” before you quit. The worst mistake you can make is to overestimate your employability. You do not want to end up being caught in a situation where you think you could easily find a better job, only to realise that your current employer don’t even want you in the first place.